In the case of investing in bridge loans, the third reason is the most common. These are the loans mostly used by “house flippers”; real estate investors who purchase and rehabilitate properties before reselling them. They represent a great investment opportunity too, and if you are interested in getting into real estate lending as an investment, you need to know how investing in a bridge loan – or portfolios of bridge loans – can provide you with a great return in a relatively short amount of time. Before deciding to take the plunge and starting to invest in bridge loans, it’s important to understand the pros and cons, and exactly how these products work for the lender, and by extension, the investor who is investing in the loans. They have short maturity terms. Loans of this type have terms of 3-24 months, though the usual term for a fix and flip bridge loan is 12 months, with extensions for consideration of extra time required to complete the renovation and sale of a property In other cases, the loans are paid off early if the developer completes the work and sells it before the loan maturity date. They cover a large percentage of the property value at the time of purchase. Bridge loans are sometimes available to borrowers for up to the full purchase price of the property, namely because the property is generally undervalued at the time of purchase. This puts the borrower in a position to use funds to make improvements and increase the value of the property for resale. Similar to putting a down payment on your home mortgage, borrowers are required to put personal funds into the purchase, to show skin in the game. Borrowers are required to put a deposit of at least 10% of the property value. Common LTV (loan-to-value) values range from 50 to 80%..
Late payment penalties are in place for most bridge loans. If the borrower does not make a regularly scheduled interest payment, then the penalties ensure the investor is well compensated for the tardiness of the payment. The loan is broken into multiple ‘draws.’ There will likely be milestones set that allow access to portions of the funds as work completes. The first draw is for the purchase of the property itself. Subsequent draws are based on completion of stated renovation work and must be proven with receipts and invoices. Interest rates are high. 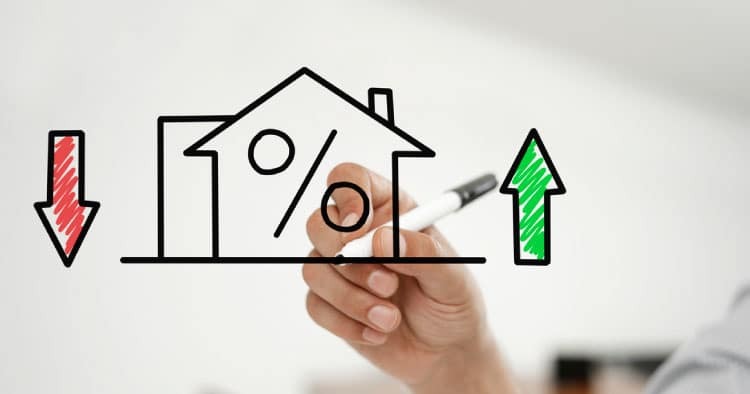 In fact, while many consumer home mortgages charge four to six percent, these loans regularly charge seven to twelve percent, in addition to the loan fees levied by the lender. This provides much more opportunity for investors purchasing the interest-paying note. Coupled with the short loan terms, it means you stand to make a high return quickly. If you are looking for bridge loan investment opportunities, it’s important to understand the diversity of the investment opportunities available. Residential bridge debt is one major category of these loans readily available to individual investors. However, there are other types of bridge loans. Some are used by real estate investors operating in the multifamily and commercial space, and others are used by companies buying and developing new facilities for their own use, or as a stopgap while other financing is sought. Multifamily: Landlords and property investors often take out bridge loans to cover renovations that will allow them to raise rental rates. This provides them with the initial funds they need, and their strategy allows them to realize a return quickly enough to pay the loan back when it matures. Retail: Investors that plan to hold retail spaces for a short period of time to develop them before resale often use bridge debt to close on the property. They can then make the interest payments for a year or two before selling the property again to cover the final payment. Industrial: When industrial spaces do not meet tenant needs, owners often use bridge loans to cover the renovations that bring in new entrepreneurial ventures. This allows them to succeed at interesting new industries and start-ups in tenancy. Office: Similar to industrial uses, office uses can fund renovations. They can also be used to finance the property while it is being filled before it is sold as a fully mature business to another investor. Hospitality: The last major use of these loans is to stabilize the cash flows of hospitality businesses as they prepare to refinance into permanent debt. Each of these types of bridge debt brings with it unique risks and opportunities, so it is important to understand the specific types you invest in and to balance your investments. These loans have been powerful instruments allowing for economic development to a wide variety of businesses for many years. It’s not likely that will change anytime soon, but what is likely is that there will be fluctuation in the demand for basic residential bridge loans in various states, cities, and neighborhoods. That’s because residential property investment is its own business with its own very local cycles. By diversifying into a range of bridge debt, though, investors can reap the rewards of the high-interest rates while opening themselves up to more investment opportunities in any market. Advance your investing knowledge by understanding the tax implications around another investment avenue: real estate crowdfunding. What’s the economic driver in your city? In San Francisco, it’s technology companies. In L.A., it’s the movie industry. In New Orleans, it’s the port. In Atlanta—don’t let all the Coca-Cola signs fool you—it’s real estate and it always has been. As a land-central city with no physical barriers impeding suburban sprawl, Atlanta has seen a huge influx of investment in commercial, multi-family, and single family buildings in the last 24 months. This trend is confirmed by the HomeUnion 2017 Single Family Rental report where single family home new permit requests grew only modestly but multi-family permit requests continue a growth trend started back in 2011. The AlphaFlow Investment team recently visited Atlanta and spent time driving across the region to interview local residents and lenders to see what’s driving the growth in this market. While online market reports and survey data are helpful, there is no comparison to kicking the tires and viewing a region’s dynamics and key trends first hand. 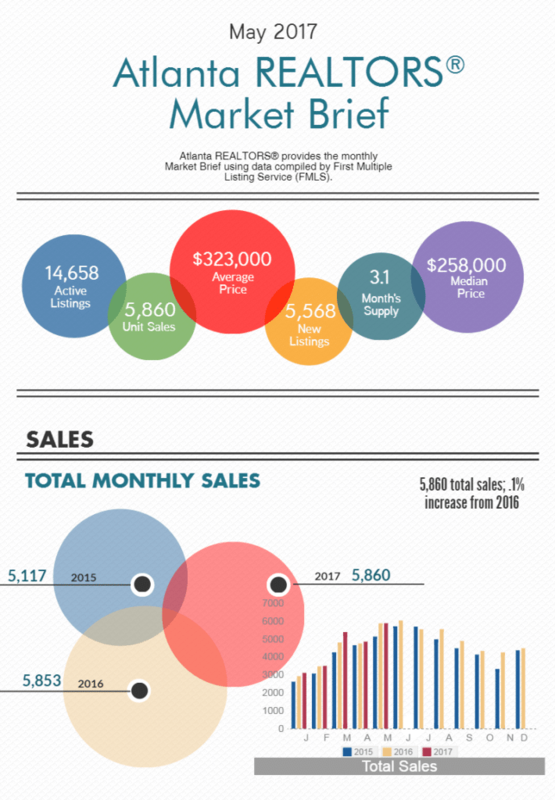 What Makes The Atlanta Real Estate Market So Healthy? Atlanta is one of the biggest cities in the country to benefit from the millennial migration trend ranked #2 in a Money.com article after Austin. The number one factor influencing this demographic to move is the availability of well paid, first-time jobs. Atlanta ranks 4th in the nation for Fortune 500 company headquarters (Delta Airlines, SunTrust Bank, Home Depot and Coca-Cola to name a few). Broad, resilient economic base limiting the exposure to market and economic fluctuations. Nearly all of them rent. The house rental market is strong in Atlanta as it is ranked the #1 rental market opportunity in the country in HomeUnion’s 2017 Single Family Rental Report and had the 2nd lowest entry price of the top 10 markets to Memphis. These are all ‘in town’ neighborhoods. ‘In town’ in Atlanta means inside I-285, the Perimeter that circles the city. Many people, not just millennials, want to move in town closer to the city and its amenities. There are simply not enough homes for everyone that wants to live there. Housing supply dropped 4.9% over June 2016, per Market Brief, and inventory sits at a low 3.2 months. Housing starts are well below peak levels according to HomeUnion, which they attribute to low margins for entry level homes and high land costs. House flippers have noticed the shortage too. In Atlanta, flips were just under 8% of all home sales in 2016, above the national average of 6.1%. 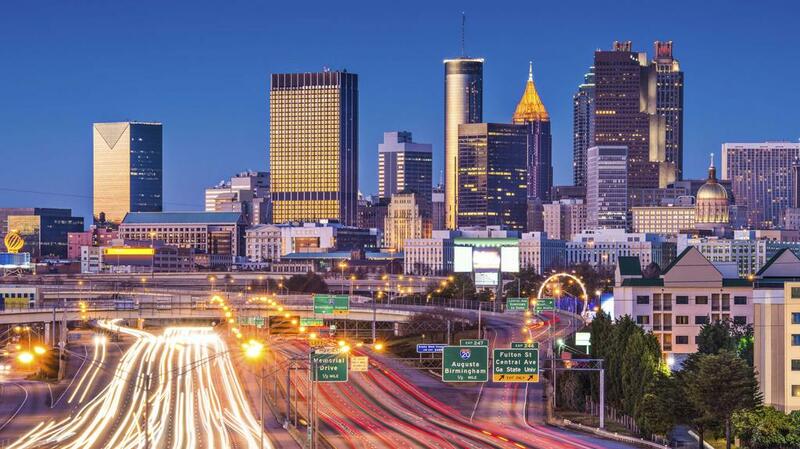 3) New Cities Forming Most of Atlanta and these most desirable neighborhoods are in 2 counties: Fulton and Dekalb. These 2 counties have seen at least 5 new cities form in the last 5 years. Motivation for forming new cities include more local control and taking some power and revenue away from the county government, who they see as inept or inefficient at running their county. New cities include Brookhaven, Sandy Springs, Dunwoody and Tucker, all of which are good areas for living, investing or both. Many of these new cities need the tax base that comes from residential property taxes to run their new city government. The result is a welcoming environment for remodelers, rehabbers, builders, infill housing and anything that takes the existing land/property and makes it more valuable. The Beltline Project: One of the city’s biggest initiatives, the Beltline, is a redevelopment project that connects 45 surrounding neighborhoods by a 22-mile loop of reused train and light rail tracks. The project also calls for 33 miles of multi-use trail, among other amenities, and will roll out in phases with 2030 earmarked for completion. Four sections of the Eastside trail are already open to the public and have encouraged revitalization of the neighborhoods, spurring redevelopment (very reminiscent of the effects the High Line project had in New York City). As an investor, you can find properties for under $120k in the Southwest region as the Westside development of the Beltline is only just getting started. North: Generally speaking, inside I-285, the more affluent regions are located North and Northeast of the city center. Touring the northern region, areas such as Atlantic Station and Midtown have, in recent years, been revitalized and given way to high rise condominiums and mixed-use buildings as young professionals are moving in. Tech Square, a region defined as a multi-block neighborhood where Georgia Tech has several academic buildings, has given way to the growth of a small tech community. The region is also host to the corporate headquarters of NCR Corporation. Northeast: The Northeast region is home to Emory University, which has a vast footprint in the Druid Hills area with new buildings expanding in the surrounding vicinity. For investors, you can still find deals in this region (mainly rehab projects as there is a lack of developed land). However, the entry price point has increased over recent years to the $700-$800k price range. The college atmosphere has taken hold in Decatur and Little Five Points area where new bars, restaurants, and high rise apartments have gentrified the area. You will often hear in conversation people stating that the Atlanta real estate market is “overheating” or the market has “reached its top”. While this may be true from a holistic standpoint (as one needs to be more prudent in their analysis, stress testing, and investment selection) real estate is, at its core, a local industry and needs to be evaluated at a neighborhood level, not only from a macro view. Atlanta’s real estate market may look overheated from an outside general view, but is backed by good fundamentals when you dig into its local trends at a neighborhood level. The number of units on the market in June is down 4.9% from last June and new listings are down 2% from last June, according to the June Atlanta Market Brief. This while demand is up 2% from 12 months ago with average and median home sales price up 6.8% and 6.5% from last June. These are certainly consistent with a hot market when demand is up, sales price is up and number of units available is down. Atlanta has mild weather, real estate as a top economic driver, population growth, new city formations, big corporate headquarters and offices, and most importantly for AlphaFlow, a housing shortage in the most desirable areas of the city. These qualitative factors contribute to Atlanta’s attractiveness as a market, along with the trends mentioned. Many ‘in town’ neighborhoods are experiencing an increase in full gut renovations as homeowners are keen to build the type of home they want in these attractive locations. Some are in, or near, the newly formed cities that need the increase in property values and taxes that come with it. Since 2015, the number of teardowns in Atlanta is growing about 7% per year. Teardowns are so common that one in town neighborhood, Tuxedo Park, put a moratorium on teardowns starting in June. Some other neighborhoods may follow Tuxedo Park, but there are still plenty of highly desirable areas where teardowns and rehabs are happening. When there is a housing shortage in an attractive city like Atlanta, teardowns, infill housing, and rehab projects start popping up everywhere, and these are exactly the kinds of projects we fund at AlphaFlow. These rehab projects are great potential acquisitions for AlphaFlow and we expect to see more coming out of Atlanta for the next few years. Not only do these projects boast attractive yield but they also are accompanied by seasoned local developers who are in tune with neighborhood fundamentals. The AlphaFlow Investment Team will target loans in specific regions of the Atlanta real estate market for our client’s portfolios as we see overall desirability increase with greater public and private investments. 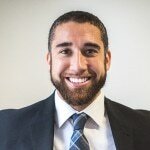 Miles Deamer is the Director of Investments at AlphaFlow. He is responsible for the acquisition, underwriting and execution of real estate debt investments. Before AlphaFlow, Miles was one of the earliest employees at LendingHome, helping scale the sales, operations, & servicing teams. Early in his career, Miles was a member of the credit team at First Republic Bank (NYSC:FRC) reporting directly to the Chief of Credit. Miles received a BS in Real Estate Development from USC where he was a member of a Division I National Championship Water Polo Team.